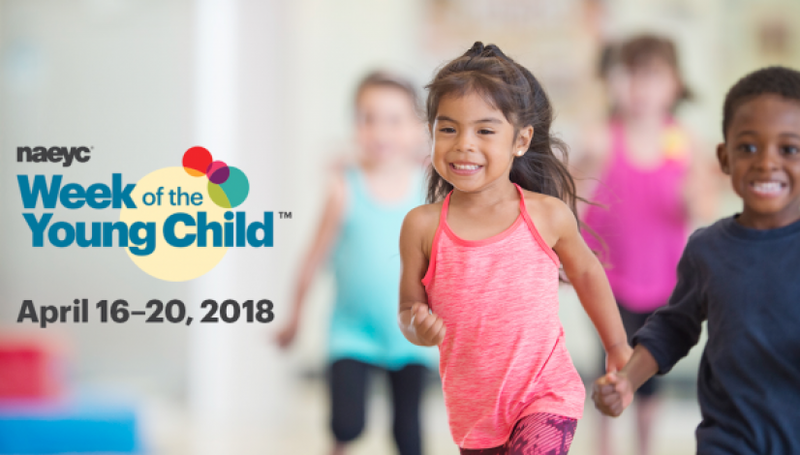 The Week of the Young Child™ is an annual celebration hosted by the National Association for the Education of Young Children (NAEYC) celebrating early learning, young children, their teachers, and families. This year’s event is April 16–20, 2018! Through music, children develop math, language, and literacy skills – all while having fun and being active! Make up and record your own unique version of a song or write your own, and share it on NAEYC’s Facebook page or post to Twitter using the hashtag #woyc18. This fun, food-themed day is about more than just cheese and crackers. Cooking together connects math with literacy skills, science, and more. With the rise in childhood obesity, you can encourage healthy nutrition and fitness habits at home and in the classroom. Create your own healthy snacks and share the recipes and photos of your creations on NAEYC’s Facebook page or post to Twitter using the hashtag #woyc18. TRY THIS: Measure your ingredients while making your snacks! Ask children if they’d like the same or different amounts of each ingredient. 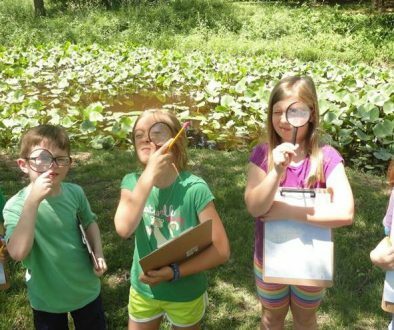 When children build together they explore math and science concepts and develop their social and early literacy skills. 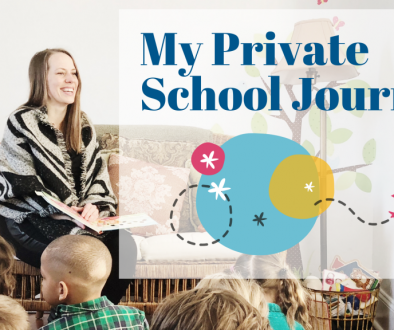 Children can use any building material—from a fort of branches on the playground to a block city in the classroom, or a hideaway made from couch pillows at home. Build and share pictures of children’s creations on NAEYC’s Facebook page or Twitter using the #woyc18 hashtag. Children develop creativity, social skills and fine motor skills with open-ended art projects where they can make choices, use their imaginations, and create with their hands. On Artsy Thursday celebrate the joy and learning children experience when engaged in creative art making. Use any materials—from crayons to paint, clay to crafts! Create and share a photos of your children’s creations on NAEYC’s Facebook page or Twitter using the #woyc18 hashtag. Engaging and celebrating families is at the heart of supporting our youngest learners. NAEYC applauds family members’ role as young children’s first and most important teachers. Share pictures and stories about your family on NAEYC’s Facebook page or post to Twitter using the hashtag #woyc18 as we celebrate the unique role families play in their children’s learning and development. TRY THIS: Invite parents for a Family Friday breakfast, where children can prepare and share breakfast treats with their families! 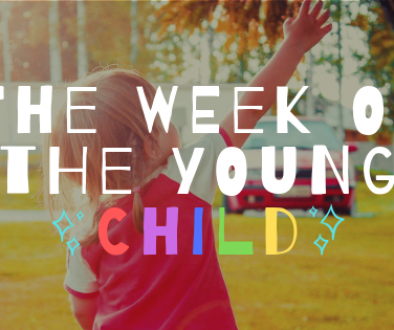 For more information on Week of the Young Child, please visit their web site!